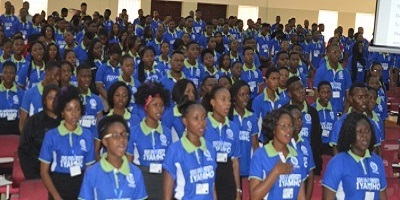 Through its teaching, research and innovative activities, the Edo University, Iyamho (EUI), is poised to be a major contributor to the advancement of knowledge, wisdom and understanding for the benefit of the university in encouraging and promoting scholarship and will relate its activities to the social, cultural and economic needs of the people of Edo State in particular and Nigeria in general. The Faculty aims at producing graduates trained in the arts, social and management sciences who can bring such training to bear on whatever roles they may be called upon to play in the course of national development. The various departments in the Faculty effectively teach both theoretical and practical aspects of the various disciplines, and adopt the use of multi-disciplinary research in addressing the pressing needs of the country and Africa in general. Publications in academic, professional and other relevant journals are encouraged. Graduates of the Faculty are expected to fit into a variety of jobs having acquired substantial skills in their various disciplines. Each department in the Faculty has its own specific requirements for admission into various programmes. The requirements for each department are specified in the various programmes. The Faculty of Arts, Management and Social Sciences offers single Honours Degrees. The degree requirements include compulsory courses in General Studies and all students in the University are required to pass all required courses before they graduate. Single Honours Degrees: Students admitted by Enhanced Examination shall, in their first year, in addition to General Studies, take full courses from the Department. The most appropriate subject areas will be defined by the Department into which a student has been admitted. During the second year, the student (whether promoted from year one or newly admitted by Direct Entry) takes full courses from his/her major Department. Direct entry students normally take the General Studies courses in the 2nd year; Single Honours students take full courses exclusively from their respective department during the third and fourth years. Students register for required courses as part of their degree programmes. Students attending lectures in courses that they are not registered for shall do so only at the express permission of the lecturer in charge of the courses. However such students shall not earn any credit from such courses. Registration for courses is online and students are expected to register within a stipulated time. Any student who fails to register within the specified time shall not be allowed to register in that session any longer, and shall forfeit the examinations in any semester of that session, except with the approval of Senate. Such a student shall be deemed to have voluntarily withdrawn from the University and may only be readmitted in any subsequent session with the approval of Senate. new student to register after matriculation. There shall be appointed Course Adviser(s) who will be responsible to the HOD for each Department in the Faculty. The Course Adviser shall offer guidance and counselling services to students in their academic, social, personal and vocational life. He/she shall be responsible for the course registration of students, recording and returns of student’s sectional results and other duties as approved by the HOD. Tutorials: There should be one hour of tutorial for every four hours of lecture. Thus a course of one credit unit should comprise 12 hours of lectures and three hours of tutorials. (i) Scores from continuous assessment shall normally constitute 30 % of the final marks for courses which are primarily theoretical. practical and partly theoretical, scores from continuous assessment shall constitute 50% of the final marks. The maximum number of credit load a 100 – 300 level students can register is 50 units while the minimum is 34 units. The maximum number of credit load a final year student can register is 51. Marks scored for any courses not originally registered for will be disregarded. All programmes in the Faculty are run on a modularized system, also known as Course Unit System. All courses are therefore sub-divided into more or less self-sufficient and logically consistent packages that are taught within a semester and students shall be examined on the course at the end of that particular semester. Credit weights should be attached to each course. One credit is equivalent to one hour per week per semester of 15 weeks of lectures or 2 hours of tutorials or 3 hours per week of laboratory/studio work per semester of 15 weeks. Grading of courses shall be done by a combination of percentage marks and letter grades translated into a graduated system of Grade Point Equivalents (GPE). For the purpose of determining a student’s standing at the end of every semester, the Grade Point Average (GPA) system shall be used. The GPA is computed by dividing the total number of credit points (TCP) by the total number of units (TNU) for all the courses taken in the semester. The credit point for a course is computed by multiplying the number of units for the course by the Grade Point Equivalent of the marks scored in the course. Each course shall be graded out of maximum of 100 marks and assigned appropriate GPE as in Table B. The determination of the class of degree shall be based on the Cumulative Grade Point Average (GPA) earned at the end of the programme. The GPA is computed by dividing the total number of credit points (TCP) by the total number of units (TNU) for all the courses taken in the semester. 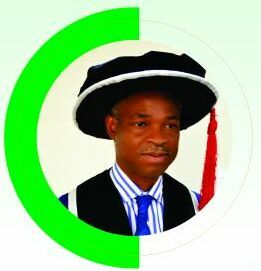 The CGPA shall be used in the determination of the class of degree as summarized in Table D.
The maximum length of time allowed to obtain a degree in any Department in the Faculty of Arts, Management and Social Sciences shall be twelve semesters for the 4-year degree programme and ten semesters for students admitted directly into 200 level. For extension beyond the maximum period, a special permission of Senate shall be required on the recommendation of the Faculty Board. To be promoted to the next level a student must pass at least 20 credit units of the TOTAL credits/loads for that session. Students who could only accumulate between 10 to 19 credit units at the end of the session can go on probation/repeat the same level or better still, such student can seek inter-Faculty transfer. Any student who fails to pass up to 10 credit loads shall be advised to withdraw from the faculty. Any student who has previously probated and still fails to accumulate 20 credit units at the end of the session shall be advised to withdraw from the University. All question papers for 100 – 300 levels shall be moderated internally by the Head of Department (HOD). In addition, external examiner shall vet the questions and the marking of scripts for all final year examinations. The Head of Department shall be the Chief Examiner for his/her department. There shall also be appointed an Examination Officer who will be responsible to the Head of Department. The examination officer will be in charge of the conduct of examinations, recording of scores and return of results. The Board of Examiners in the Department consists of the academic staff. shall meet at the end of each semester to consider the results of the examinations held in that session. Students should be seated in the classroom at the exact time of the lecture. Any student who comes late to class for 3 times would not be allowed to further attend such a class except he/ she writes to the HOD and secures approval. 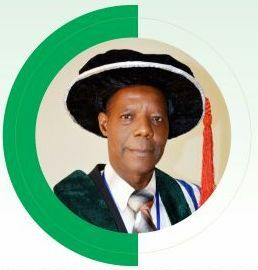 Apart from the University’s requirement of 75% attendance before writing an examination, any student of the faculty who is absent from classroom for three lectures (without proper official permission communicated to the lecturer) should not be allowed to further attend such class except such a student writes to the HOD and secures approval. No student should commit acts of insubordination. This includes disrespect to a lecturer within or outside the classroom, in terms of utterances or non-compliance with instructions. No student should instigate other students against any lecturer or engage in any other act as could be considered rude by the Faculty Disciplinary Committee. No student should disturb or constitute nuisance or cause commotion or instigate others to do so within the University environment. Assault on lecturers or on fellow students is forbidden. Use of cell phones/mobile phones by students during lectures is prohibited. Phones are expected to be switched off before entering the classroom. Students should not eat during classes. Students should not steal or damage items or property of other student(s) or lecturer or the University. Students should not litter the University environment. No student should loiter around the classroom during lectures or cause distraction or be seen to have caused distraction either by speaking, gesticulating or taking items through the window or door. No student should walk into a classroom during lectures without the permission of the lecturer. No student should walk out of or around the classroom during lectures without the permission of the lecturer. Possession and use of hard drugs such as Indian hemp, cocaine, heroin, cannabis, codeine, etc., are highly prohibited in the University. Any form of smoking is also prohibited. Anyone, lecturer or student, can reporta violator of any of the above rules with enough evidence/witnesses by writing to the Faculty Disciplinary Committee through the office of the Dean. Position of the offender among his/her co-offenders. If a plea of guilt is entered, the case shall be forwarded for consideration by the FDC. If a plea of innocence is entered by a student, he/she shall be subjected to further interrogation/cross examination and investigation including calling for witnesses. Letter to the HOD/Dean: Students that are expected to obtain letters from their HOD/ Dean for offences 1 and 3 are expected to do so within a period of 48 hours after committing the offence. When this is not done, the case shall be referred to the FDC. Unauthorised items shall be confiscated from the erring student(s) and submitted to the FDC. This is issued to offenders by the Student Affairs Department with the knowledge of parents/ guardians. It must be collected promptly or further stringent actions shall be imposed. Only duly Matriculated/Registered students are eligible to take examinations. Students must be punctual and they must be in the Examination Hall at least 30 minutes before the time the examination is due to start. A student is required to deposit his/her Hand bag, briefcase, or any other prohibited material at the chief invigilator’s Desk or a desk provided for that purpose before the start of the examination. Students shall bring with them to the Examinations only their writing materials. Absolutely no book, printed or written document or other communication gadgets or unauthorized aid shall be taken into an Examination Room by any candidate. A student shall bring his/her identity card to each examination and display it in a prominent position on his/ her desk. A student shall write his/ her Examination Number, not his/ her name distinctly at the top of the cover of every Answer Book and every separate sheet of paper. Each student shall complete the Attendance Register in triplicate. During the examination, a student may leave the room temporarily, with the permission of the invigilator only if accompanied by an Attendant. A candidate who leaves the examination hall shall not be readmitted unless he/she had been under the supervision of an invigilator or an examination attendant throughout the period of his/her absence. A student shall not leave the examination Hall until the first 30 minutes had elapsed and must be with the special permission of the chief Invigilator. Such Student must drop his/her Question paper and Answer Booklet before leaving. A student must not give assistance to any other student or permit any other Student to copy from or use his papers. Similarly, a Candidate must not directly or indirectly accept assistance from any other candidate or use any other candidate’s papers. Any student involved in irregular assistance or cheating during examination shall write a statement on the spot before being allowed to continue with the examination. Refusal of a student to write a statement on the spot shall be regarded as examination misconduct and will be subjected to the university disciplinary action. Silence shall be observed in the examination Hall. The only permissible way to attracting the attention of an invigilator is by a student raising his/ her hand. Students are not allowed to smoke, eat or drink in the Examination Hall. The use of scrap paper is not permitted. All rough work must be done in the Answer Booklets. Even if they contain only rough work, they shall be tied to the main booklet and crossed out neatly. Students are advised in their own interest to write legibly and to avoid using faint ink. Answers must be written in English, except as otherwise instructed. On finishing each Examination, students should draw a line through any blank space or page of each Answer sheet. Before handing in their scripts at the end of the examination, Students must satisfy themselves that they have inserted the title of the examination, their matriculation Numbers and the numbers of the question they answered in the appropriate places. At the end of the time allotted, students shall stop writing and stand up when instructed to do so, remain standing and hand in their scripts to the invigilator before leaving the Examination Hall. Except for the Question Papers and any material that they brought into the hall with them, Students are not allowed to remove or mutilate any paper or material supplied by the university. Any of the following shall, prima facie, constitute examination irregularity, misconduct or malpractice in any Department in the Faculty of Art, Management and Social Sciences. Has not complied with any other requirement(s) prescribed by the Senate, Faculty or Department. Candidates whose positions are irregular as identified under this heading shall not be allowed to sit for the examination. Where the irregularity is discovered after the candidate might have sat for the examination, such paper(s) done under irregular conditions shall be nullified. Failure to observe silence. The only permissible way for attracting the attention of the invigilator is by the candidate raising his hand. Act(s) of insubordination or insolence to the invigilator(s). Fighting in the examination hall. Act(s) of commission or omission that may negatively affect the smooth conduct of the examination. Note: Gross misconduct shall be deemed to have occurred where there is evidence of a student’s membership to any secret cult of fraternal organization. Any act of omission which contravenes any of the provisions of section 3(2) of the Miscellaneous Offences Decree of 1984. Any unlawful attempt, acts, omissions, successful or unsuccessful, directed at obtaining pre-knowledge of examination question(s) or influencing the marking of scripts or award of marks by the University or External Examiner. Any attempts, successful or unsuccessful, to impersonate a candidate in any university examination. The intentional use of someone else’s examination number. Introduction of relevant foreign material(s) and cheat notes into the examination hall, whether used (copied from, consulted) or not. Relevant materials shall be taken to refer to any material that is considered to be relevant to the subject matter or course being examined irrespective of whether it is relevant to the specific examination question of the subject matter/course or not. Remove submitted examination answer script(s) or material(s). Alter, add or delete any written material in the submitted answer script(s) or material(s) after the examination. Replace submitted examination script(s) with extraneous one after the examination, either in part or in whole. Submit manuscript not written under supervision in the examination hall during or after the examination. Destroy submitted examination scripts/materials by fire or any other method. Theft/removal of examination scripts/materials, whether used or not. Consulting notes and other relevant materials outside the examination hall when such a candidate has not yet submitted his/her script(s). Assisting, facilitating, aiding or abetting cheating. Leaving the examination hall/room without permission and later returning to continue the examination. Giving or receiving irregular assistance. Non-submission or incomplete submission of answer scripts. Writing on question papers/scripts, in spite of a written (as may be printed on front page of answer booklet) and/or any other than the examination booklet and sheets supplied by the University. Speaking/conversation during the examination in spite of a warning. Use and/or possession of unapproved electronic gadgets, such as mobile phones, during the examination in spite of a warning. Writing on any materials, other than the Answer Booklet in the examination Hall. To lose 10 minutes examination time; if it persists relocate the student; further persistence cancel the paper. Rustication for two (2) Semesters plus penalty for the original offence. (ii) Non – compliance with the invigilator’s sitting arrangements. (ii) To leave the Hall and carry over the course. Unruly behaviour in the examination Hall such as smoking, drinking, liquor, noise etc. Verbal warning by invigilator. If unruly behaviour persist, to leave the Hall and carry over the course. Rustication for a minimum period of one (1) session. Provisional results shall be published by Departments after approval by the Faculty Board of Examiners and the University Senate. These provisional results shall be in letter grades. At the end of every academic year, the Registrar shall issue to each student an authenticated result slip for that session. A transcript shall be issued on behalf of the students on demand, and upon payment of the appropriate fees. The transcript shall include the name of the student, date of birth, year of admission to the degree programme, all courses taken and Grades obtained, the degree awarded and the signature of the appropriate university officer(s). 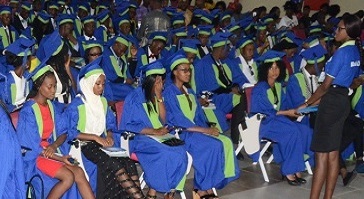 The Bachelor of Arts (B.A) and the Bachelor of Science (B.Sc) degrees would be awarded in this Faculty and the major discipline which the degree has been taken is also indicated, e.g. B.A. English, B.Sc. Economics, Accounting, Mass Communication, or Political Science. To produce a well-rounded morally and intellectually capable graduates with vision and entrepreneurial skills in an environment of peace and social cohesiveness. a) Acquisition, development and inculcation of the proper value-orientation for the survival of the individual and society. b) The development of intellectual capacities of individuals to understand, appreciate and promote peaceful co-existence. 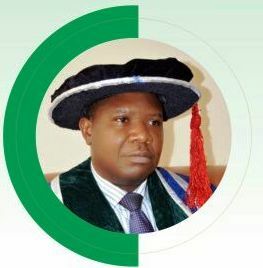 c) Producing graduates with broad knowledge of the Nigerian Nation and people with a view to inculcating in them mutual understanding and patriotism. d) Exposing graduates of Nigerian Universities to the rudiments of ICT for computer literacy and ability to live usefully in this ICT age. e) Preparing students for a post university life with opportunities for job creation and entrepreneurial skills. f) Production of graduates capable of communicating effectively (both oral and written). This course teaches effective communication and writing in English, Language skills, writing of essay answers, Comprehension, Sentence construction, Outlines and paragraphs, Collection and organization of materials and logical presentation, Punctuation etc. This course providesa study of Nigerian history, culture and arts in pre-colonial times, Nigerian’s perception of his world, Culture areas of Nigeria and their characteristics, Evolution of Nigeria as a political unit, Indigene/settler phenomenon, Concepts of trade, Economic self-reliance, Social justice, Individual and national development, Norms and values, Negative attitudes and conducts (cultism and related vices), Re-orientation of moral and national values, Moral obligations of citizens, Environmental problems. This course provides the basic concepts in peace studies and conflict resolution, peace as vehicle of unity and development, conflict issues, types of conflicts, e.g. ethnic, religious, political, economic conflicts, root causes of conflicts and violence in Africa, indigene, settler phenomenon, peace building, management of conflict and security,elements of peace studies and conflict resolution, developing a culture of peace, peace mediation and peace-keeping, alternative dispute resolution (ADR), dialogue/arbitration in conflict resolution, Role of international organizations in conflict resolution, e.g. ECOWAS, African Union, United Nations, etc. 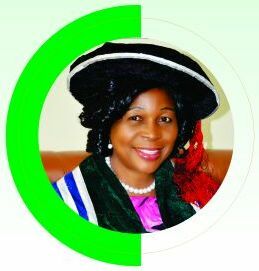 The philosophy of the entrepreneurial programme at the Edo University, Iyamho, is to build a Complete Manin the society. To be able to achieve this, students should imbibe the virtues and core values of doing business that lead to the growth and development of the society. Recognize the critical importance of values and ethics when engaged in entrepreneurial activities. The course introduces students to the definitions, functions, types and characteristics ofentrepreneurship. 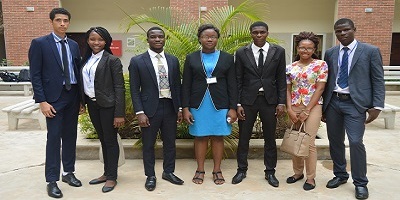 This course further examines entrepreneurship and ethics, entrepreneurship theories and practice; new venture creation; forms of business, business opportunities, starting a new business, innovation, legal issues in business, insurance and environmental considerations, possible business opportunities in Nigeria and introduction to biographies of successful entrepreneurs etc. The course focuses the attention of the students on the practical aspects of entrepreneurship by venturing into the following categories: Agriculture/Agro Allied (fish farming, crop production, animal husbandry such as poultry, piggery, goat etc, groundnut oil making, horticulture (vegetable garden, flower garden), poultry), Services (bakery, radio/TV repairs, barbing/ hair dressing salon, car wash, catering, courier, event planning, fashion design, vehicle maintenance, film production, interior decoration, laundry, music production, phone call centre, rental, restaurant, tailoring/ knitting, viewing centre), Manufacturing (carving, weaving, sanitary wares, furniture making, shoe making, plastic making, table making, bead making, bag making, sachet water production, cosmetics, detergents), Commerce (buying and selling, purchasing and supply, bookkeeping, import and export etc), Information & Communication Technology (ICT) (business centre, computer maintenance, handsets repairs, internet cafe etc), Mining/Extraction (kaolin, coal mining, metal craft such as blacksmith, tinsmith etc, vegetable oil/and salt extractions etc), Environment (fumigation, household cleaning waste disposal etc), Tourism (car hire, craft work, hotel/catering, recreation centre), Power (generator mechanic, refrigeration/air conditioning, electricity wiring etc), Production/Processing (glassware production/ceramic, metal working/fabrication, steel and aluminium door and windows, paper production water treatment/conditioning/packaging, brick laying, bakery, iron welding, building drawing, tailoring, carpentry, leather tanning, printing, food processing/packaging/preservation). Students are to select two of the following areas of interest for practical. Topics should also include Products/Service Exhibition and Quality Control, Business Ownership Structures, Mentorship.